QUETTA (92 News) – Unknown assailants killed five people, including a man and his son, in Quetta’s Bacha Khan Chowk area on Sunday evening. 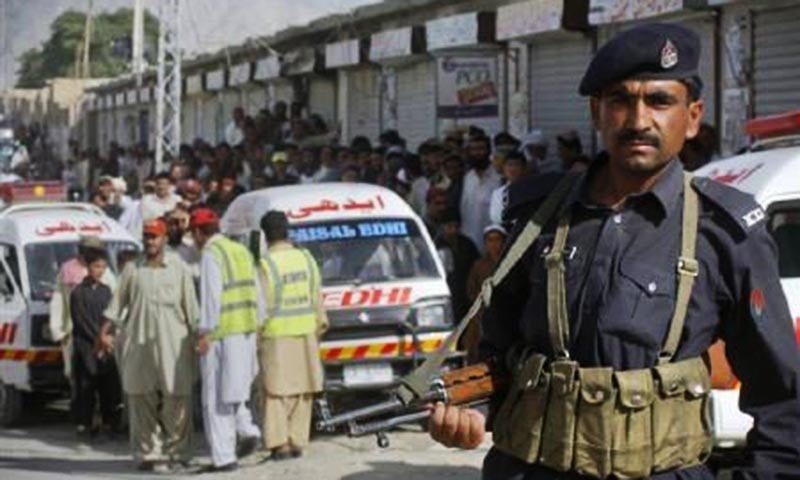 Police sources said suspected militants opened fire at two shops near Bacha Khan Chowk, the city’s commercial hub. Police stated the deceased belonged to the Hazara community. Four people had died on the spot while there was one injured who was rushed to Hospital. However, he later succumbed to his injuries. Soon after the incident, markets and businesses were closed and panic gripped the area. Traffic vanished from the roads. Balochistan Chief Minister Dr. Abdul Malik Baloch taking the notice of the incident has sought the report from Inspector General Police. Balochistan Chief Minister Dr. Malik Baloch strongly condemned the incident and directed the police to bring the perpetrators to justice. The chief minister expressed sympathy with the bereaved families and promised all possible help to them. All the political and religious parties of the province condemned the incident and demanded the perpetrators be arrested.